Sales of Windows PCs plunged ahead of the forthcoming release of Windows 8, but Microsoft saw strong pre-sales for its next-generation operating system ahead of its Oct. 26 launch. Though sales through Microsoft's Windows division were down by a third in the most recent quarter, the Redmond, Wash., software giant saw $783 million in pre-sales for Windows 8. That's a number 40 percent higher than comparable pre-sales for its predecessor, Windows 7, InformationWeek noted on Friday. The 33 percent decline in revenue in Microsoft's Windows division did not include pre-sales of Windows 8, as that revenue was deferred to the launch quarter. It also did not include sales of Windows 7 PCs that are eligible for a $15 upgrade to Windows 8, which amounted to another $384 million in deferred revenue. However, Microsoft did note that "competitive pressures" in the market also contributed to a decline in the previous quarter. Sales of traditional PCs have been greatly affected by the popularity of Apple's iPad. 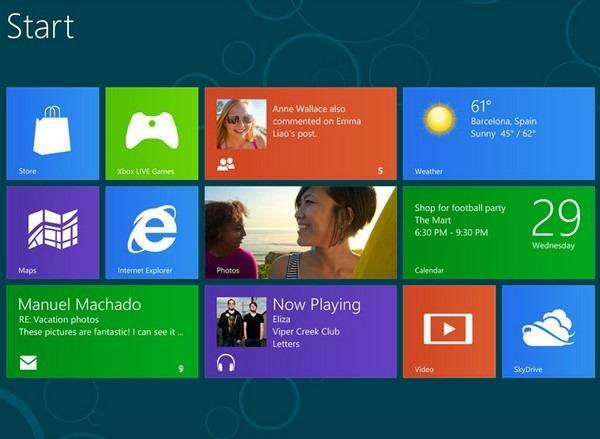 "The launch of Windows 8 is the beginning of a new era at Microsoft," said Microsoft CEO Steve Ballmer. "Investments weve made over a number of years are now coming together to create a future of exceptional devices and services, with tremendous opportunity for our customers, developers, and partners." With Windows 8 pre-sales reaching nearly $800 million, the new operating system has seen pre-sales 40 percent higher than Windows 7, which launched in late 2009. The company plans to spend $1 billion to advertise its fall product lineup including Windows 8 and the new Surface tablet running Windows RT, a version of Windows 8 compatible with low-power ARM processors. "Were incredibly excited to be approaching general availability of Windows 8 and Windows RT," said Kevin Turner, Microsoft chief operating officer. "Weve already certified more than 1,000 systems for Windows 8 from our hardware partners, ranging from the smallest tablets and convertibles to touch-enabled ultrabooks and all-in-ones to the most powerful desktop computers." Earlier this year, Apple launched its own Mac operating system upgrade in the form of Mountain Lion. OS X 10.8 comes preinstalled on all new Macs, while existing Mac users can upgrade via the Mac App Store. Apple sold 3 million upgrades to Mountain Lion in its first four days of availability in July. In September, the company revealed that total upgrades had reached 7 million in less than two months.